Calathea is a genus of several dozen species within the Marantaceae family, native to Brazil and Central America. 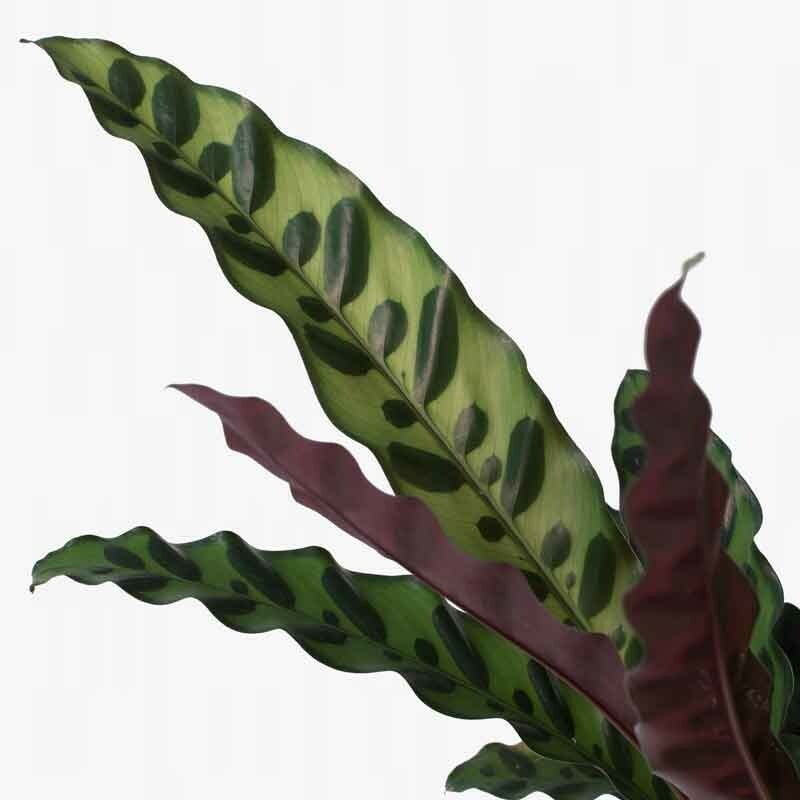 Several varieties of this plant have become highly valued as house plants due to their unique foliage consisting of velvety patterned leaves. They are surprisingly durable plants, and can bounce right back from dehydration. In its natural habitat, the calathea is a forest floor dwelling plant which enjoys the shade provided by the plush tropical canopy over head. While it can survive in low light conditions, it may lose its striking color. Have a container picked out already? Want to plant the tree yourself? Don't mind a little dirt on the floor? This option is for the bare plant in its nursery grow pot. The nursery pot can be placed inside of a larger container or can be removed to plant your specimen directly. Please note this is not considered a finished pot. 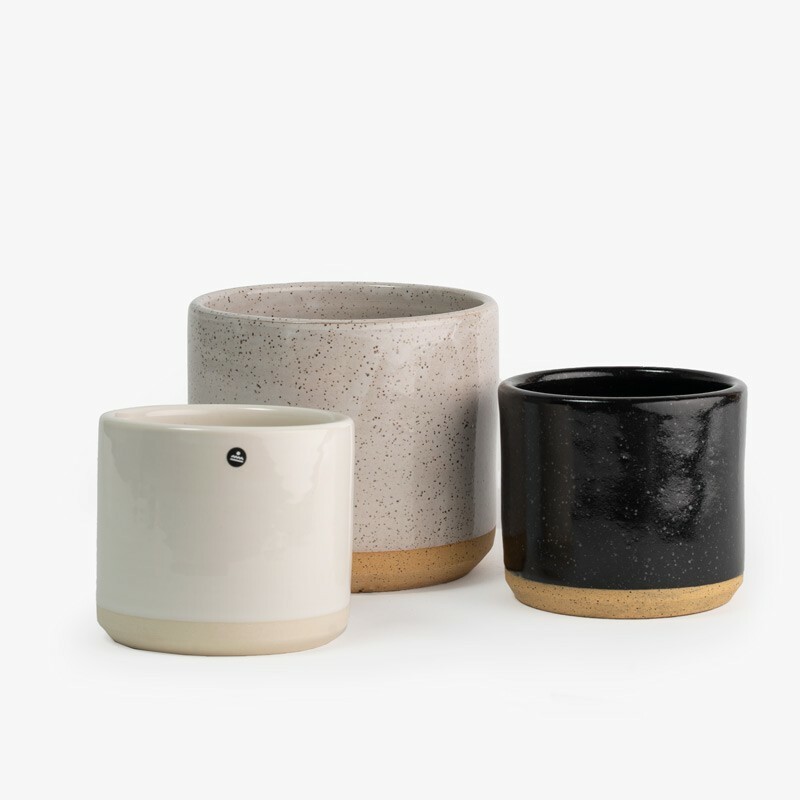 This vessel is a simple take on the classic growers pot. Terra cotta has been successfully used to grow plants for thousands of years. Porous clay absorbs moisture and allows for root aeration. It has been shown to balance pH levels which is helpful in areas with hard water. Each planter features a central drainage hole and comes with a matching saucer to catch excess water. A cork mat is recommended if placing clay pots directly on wood flooring. 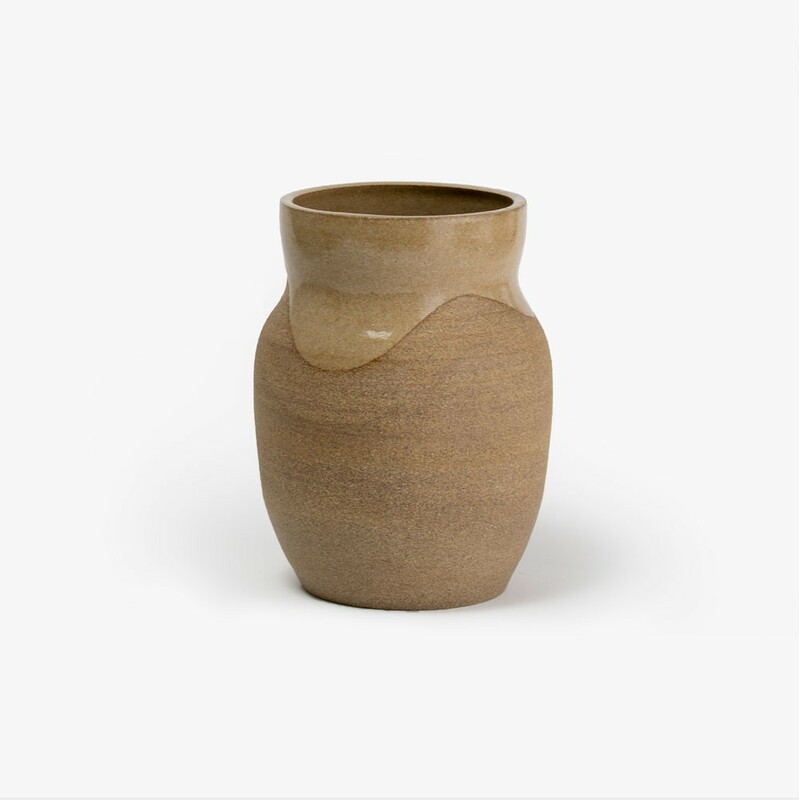 This simple ceramic cylinder is a great accent to any space. A smooth matte black finish and sleek design make it a great stand alone planter, or easy to mix and match with others. Ceramic planter, no drainage hole. This simple reverse tapered cylinder is a great accent to any space. 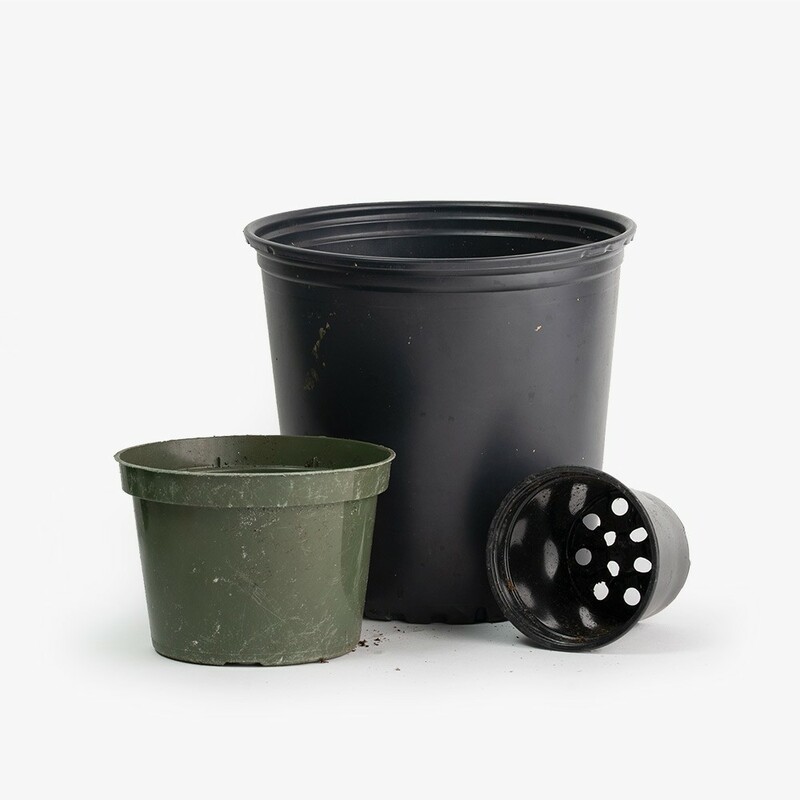 A smooth matte black finish and sleek design make it a great stand alone planter, or easy to mix and match with others. Festive and fun, this small polka dot planter adds a pop to any space. 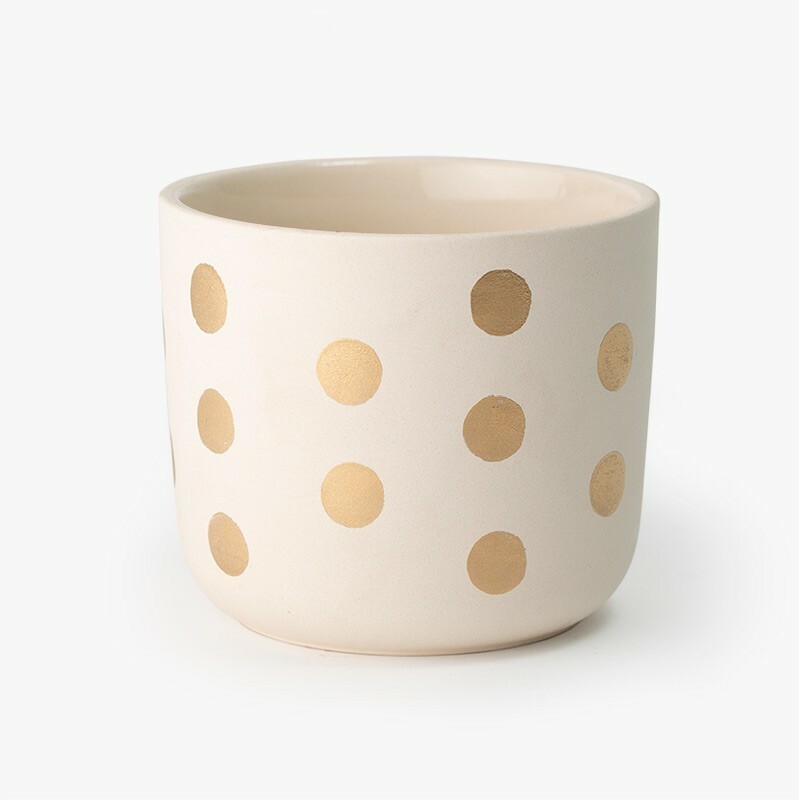 Made from stoneware ceramic, the planter is a soft white with gold dots. Stoneware planter, no drainage hole. 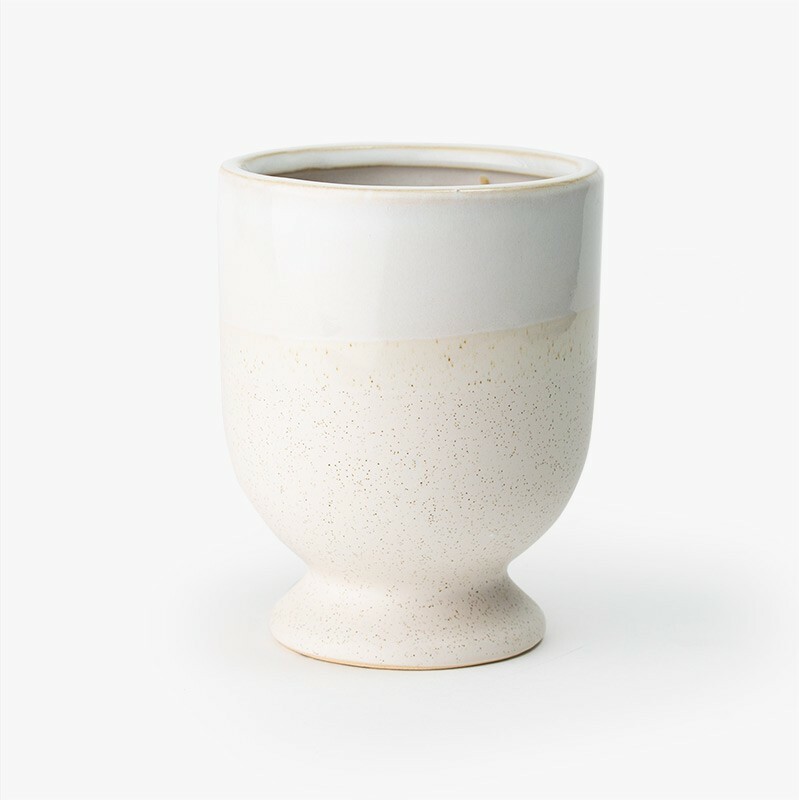 The Speckled Chalice planter is an elegant vessel with natural tones. Glazed white along the rim with a cream speckled base, this planter has a sensual and homey feel that sits well on mantles, shelves and tabletops. 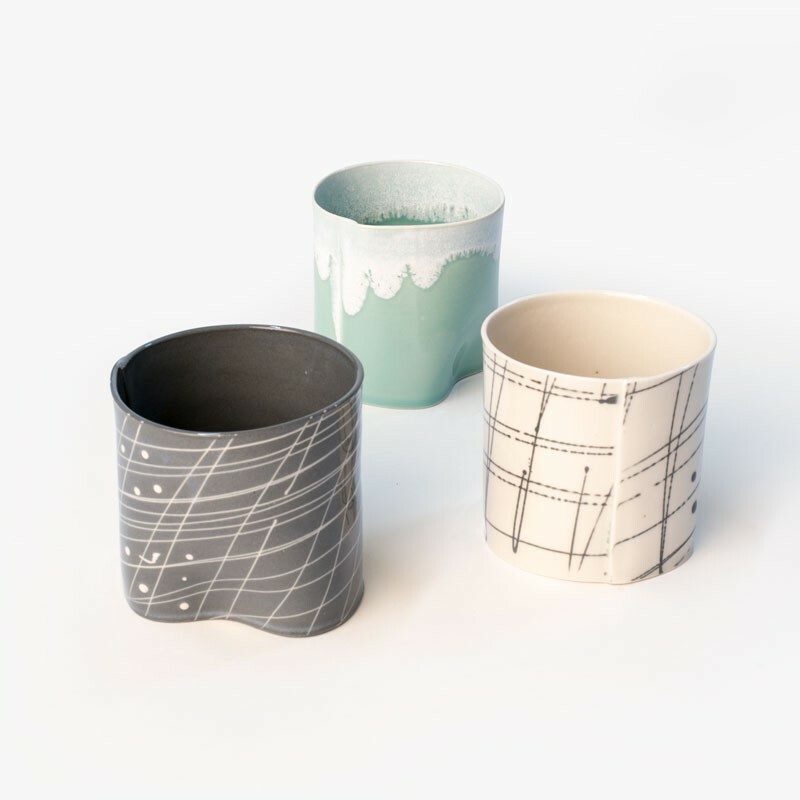 Wilcoxson Brooklyn Ceramics combines traditional Mingei style Japanese Art and Industrial Design to make a “New Modern” style of functional porcelain for daily life. Every planter contains recycled scraps, re-used through a process called slaking, which involves soaking the porcelain in water, to make it reusable. 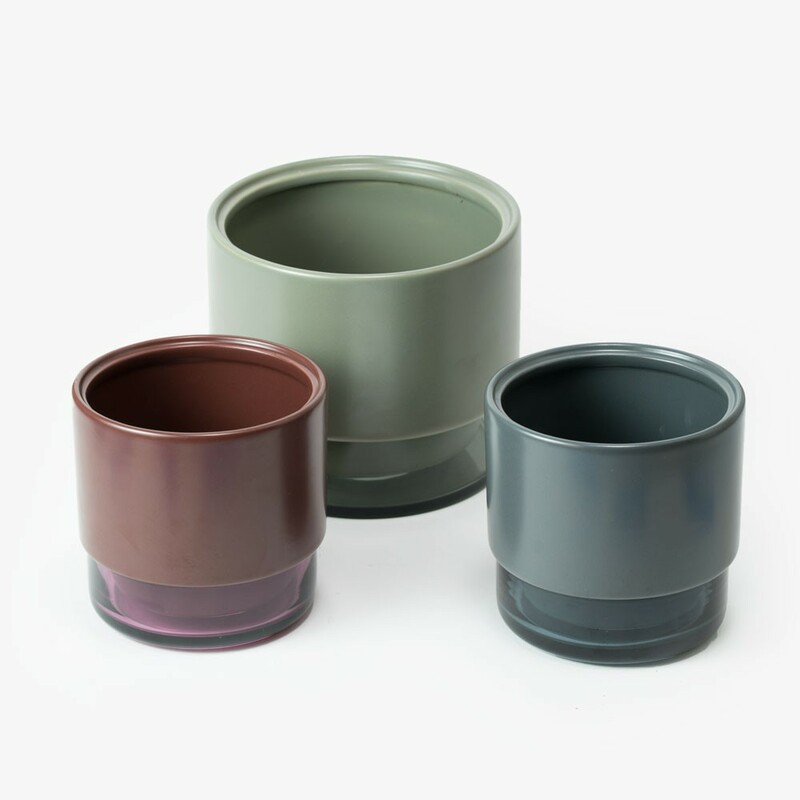 The Hexagon Pot from Ferm Living is made from powder coated metal with a matte polish. 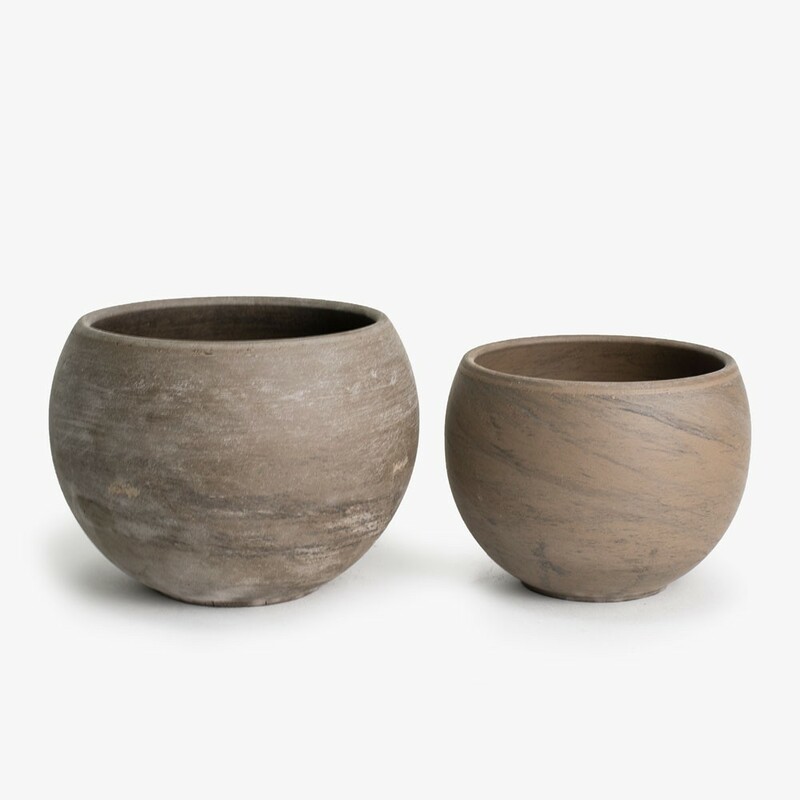 These beautiful planters are the perfect accent piece to beautify a table top, desk or shelf. 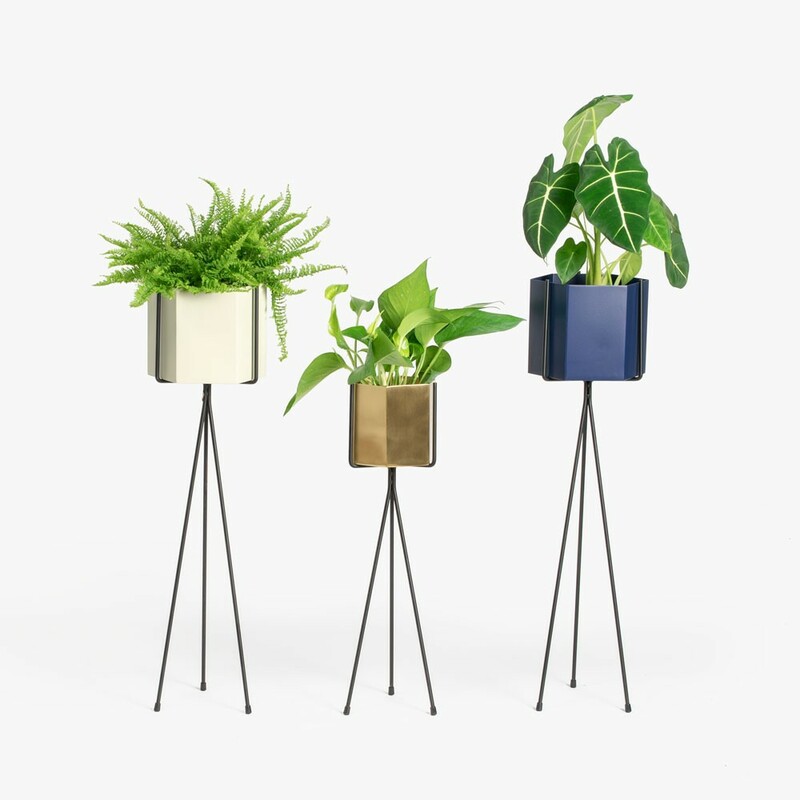 An optional plant stand is available for purchase here. 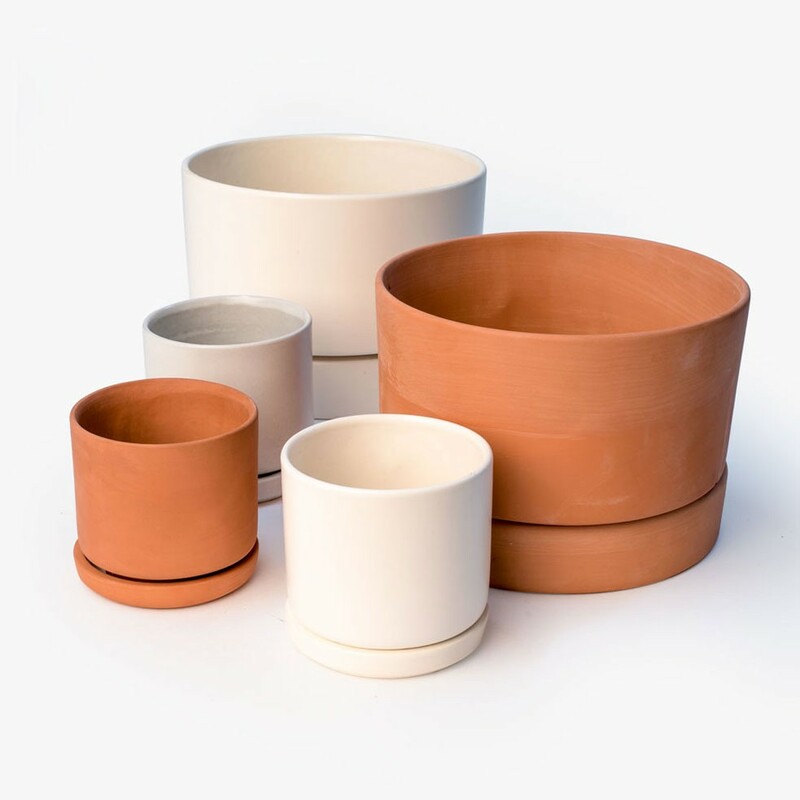 Menke Ceramics planters are slipcast earthenware vessels that feature a custom molded drainage plate that allows plants to go longer between waterings. 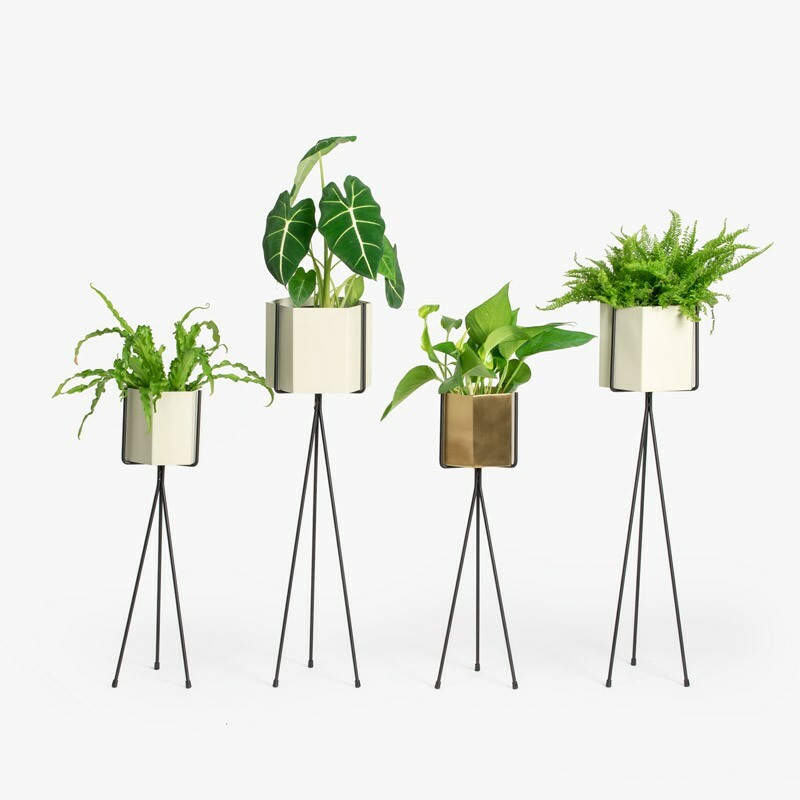 The Modern Planter series promote long term plant health and add a refined aesthetic to homes and offices. Menke Ceramics is located in the Hudson Valley, operated by Avery and Ashley Menke. Summer School’s Honey Drip Vase is an elegant and earthy planter. It made from brown stoneware with a clear glaze that drips down the top quarter of the exterior and coats the interior of the vessel. Each piece is handmade by Karen D’Ambrosi in Richmond, VA. There is no drainage hole so planting with hydro stones for drainage is recommended. Norden Goods, based in Encinitas CA, strives to provide heritage quality products that can be passed down for generations. Their small stoneware pots exhibit a glazed finish with a rough hewn foot at the base of the planter. Sleek ceramic and stained glass form this beautiful modern planter. The glass catchment tray at the base catches extra runoff, and perforation along the base of the ceramic planter will allow the plant's roots to eventually grow through and drink directly from the dish. This piece can be watered either the traditional way, from the top, or using sub-irrigation. 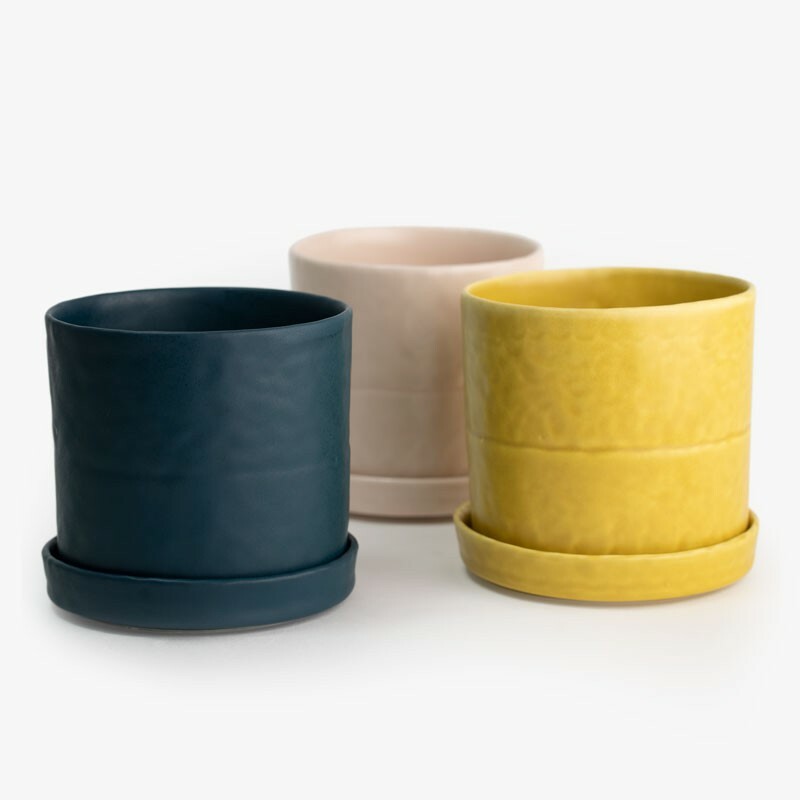 This hand pinched planter is the perfect addition to a modern home, with plenty of design options for matching colors and sizes, and a hand-mottled texture radiates the satin matte glaze. 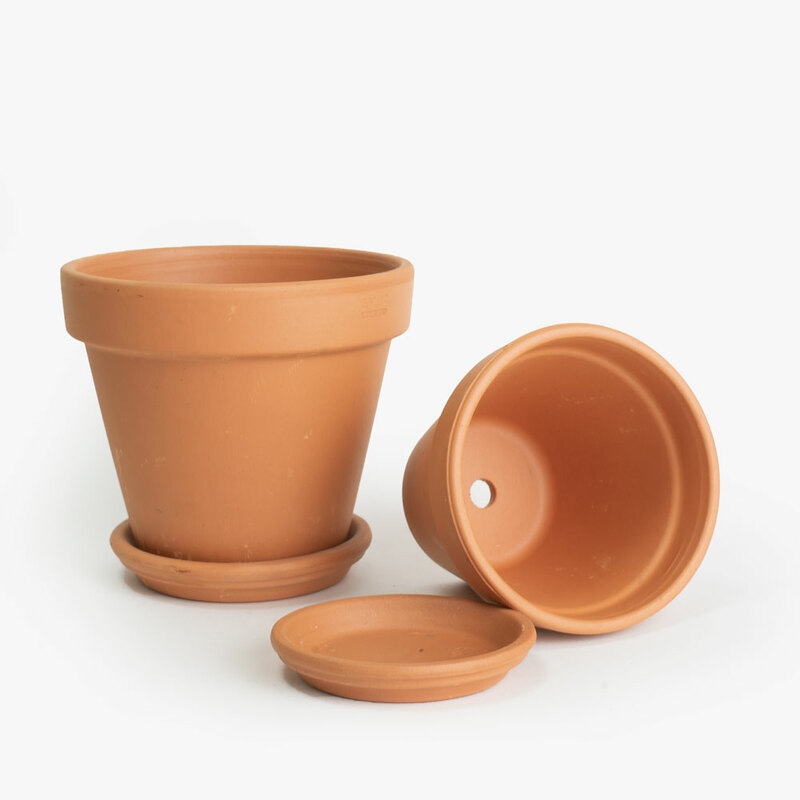 The round planter has a drainage hole and comes with a fitted plate. For indoor and outdoor use. Rattlesnake Plant (Calathea Lancifolia) | 4"
This is a high light plant. It will do best close to a south or west facing window, or directly against a north or east facing window. Please note that obstructions can cause a considerable decrease in the available light. Windows facing other buildings or alleys, especially on the bottom floors, are particularly susceptible. The surest way to see if your space receives the light required for a potted plant is to take a light meter reading. Please see our Lighting Guide for instructions. Prefers bright light, but is adaptable to bright indirect light conditions. Be sure to water your plant upon delivery. Calathea like moderately moist soil but will rot when too much moisture is present. If soil is dry and inch below the top of the pot and the Calathea leaves are beginning to curl, it is time to water. Medium humidity. Calathea will appreciate an occasional misting. All of our small potted plants are covered under our 30 Day Plant Guarantee. If you are unhappy with your purchase for any reason, simply send it back and we'll refund your payment. We guarantee our potted plants are shipped in prime condition. If your order is damaged or fails to meet your expectations, please email us at info@greenerynyc.com, or call our studio at 646-543-3797 and we will happily refund your purchase. Please include your order number when contacting us.